At the start of this week, Nokia launched the Nokia 3, Nokia 5 and Nokia 6 Android smartphones in India. 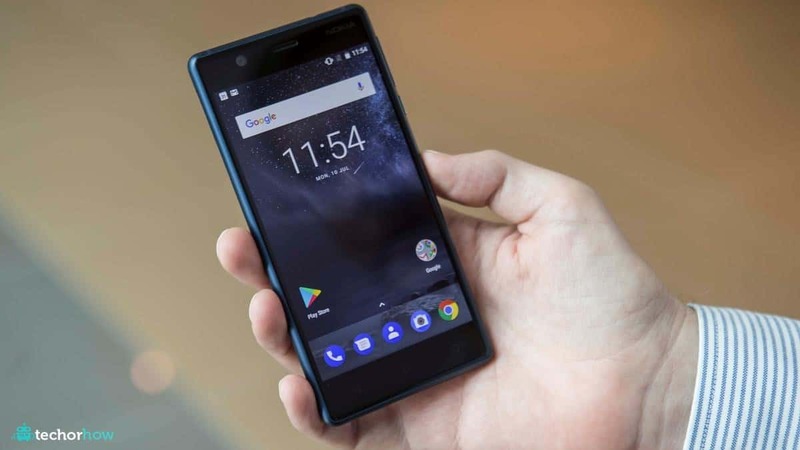 At the time of launch, HMD Global said that the Nokia 3 will be available via offline channels from June 16, and as expected, the smartphone is now available via several retailers across the country, a fact that Gadgets 360 has been able to confirm. Nokia 3 is the cheapest of the three new Nokia Android smartphones by HMD Global, having been priced in India at Rs. 9,499. Vodafone customers will get 5GB data per month at Rs. 149 per month for 3 months on purchase of Nokia 3, as well as vouchers for Rs. 2500 off (Rs. 1800 on hotels & Rs.700 off on domestic flights) on travel website Makemytrip.com. Nokia 3 has been targeted at those who are looking for a premium-looking handset at a budget. It comes with a polycarbonate body and metallic frame on the sides. For specifications, the Nokia 3 has a 5-inch HD display, Android 7.0 Nougat, 1.3GHz quad-core MediaTek 6737 SoC. It comes with 16GB of inbuilt storage, which is expandable up to 128GB via microSD card support. Optics include an 8-megapixel camera on both the front and back. The Nokia 3 packs a 2650mAh battery and measures 143.4×71.4×8.4mm. With the Nokia 3 now in stores, the next date to look out for will be July 7, when the Nokia 5 will be available for pre-booking through offline channels. It’s worth noting that the Nokia 5 pre-bookings will be carried out via select mobile retail outlets across Delhi NCR, Mumbai, Bengaluru, Chennai, Chandigarh, Jaipur, Kolkata, Lucknow, Indore, Hyderabad, Pune, Ahmedabad and Calicut. The Nokia 5 is priced in India at Rs. 12,899. Nokia 6, on the other hand, will be exclusive to Amazon India and will go up for pre-orders from July 14. The Nokia 5 features a 5.2-inch HD display, Android 7.1.1 Nougat, a Snapdragon 430 processor and 2GB of RAM. It will also have a fingerprint sensor, 16GB inbuilt storage (expandable up to 128GB), a 13-megapixel rear sensor and a 8-megapixel front sensor. Specifications of the Nokia 6 include a Snapdragon 430 SoC, 3GB of RAM, 5.5-inch full-HD display, 3000mAh battery, a 16-megapixel rear camera and a 8-megapixel front camera.